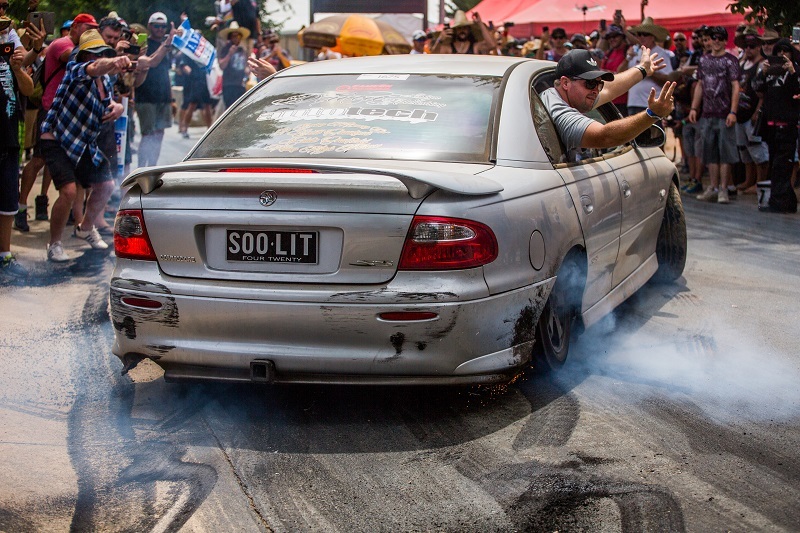 Last year, I wrote about going back to Summernats after steering clear for many years. Later, I also wrote about what it was like when I went back. 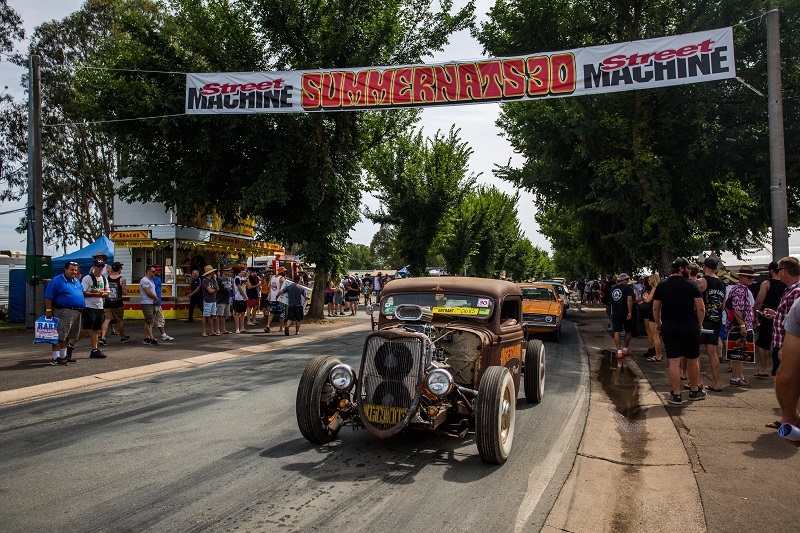 There’s should be no doubt that Summernats is an incredibly important event on the ACT calendar, contributing something like $20 million to the local economy, in part because so many attendees come from out of state. I also don’t think our events calendar should be limited to flowers, craft, and the high arts. There’s value in diversity, even if that diversity is loud, messy, dirty, and definitely not for everyone. Summernats 30. Photos: Jack Mohr. But there should be no room for an event that permits or encourages sexual harassment or risky behaviour towards women in any way, shape or form. And sadly, Summernats’ success and value as an event has long been overshadowed by its sketchy reputation. Following the 2017 event, Summernats faced an unprecedented backlash from the community, centred on the behaviour of patrons towards women and the suggestion that organisers were – at best overlooking, at worst accepting or encouraging – such behavior for far too long. It would prove to be a watershed moment for the event, which was celebrating its 30th birthday. I guess we all have to grow up a little bit when we hit 30, huh? In late February, Summernats announced it would be adopting a new ‘zero tolerance’ policy toward the harassment of women. Among the changes were an end to the controversial Puppy Wash exhibit, and the annual Miss Summernats pageant. Just as importantly, they also backed up this decision in communication with their fans, and especially, those few who protested the new rules. What Summernats fans really come to see. As an aside, I’m always intrigued and mildly amused by those who swear they’ll never attend or support an event again because of a (relatively minor, in this case) rule change. Nanny state, they’ll scream. Political correctness gone mad, they’ll cry. In reality, those people aren’t your core fan base. At risk of stating the obvious, if you’re going to Summernats for the right reasons, this policy change shouldn’t bother you. If it does, you’re probably not a genuine fan anyway (and the genuine fans have pointed out just as much). What this policy will hopefully do, is make the event a safer and more welcoming place for a much wider group of people. Can we still run an awesome event without parading young women around and screaming at them to take their tops off? Of course we bloody can. 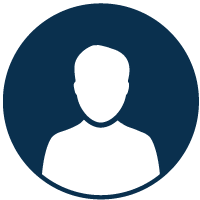 Ethical decisions can always be argued, but if nothing else, this is a smart business decision. Summernats achieved its highest attendance on record last year, with around 119,000 people passing through the gates. Under new ownership since 2009, attendance finally edged past the 100K mark and has grown slowly but steadily every year. Notably, numbers continued to grow after the notorious wet t-shirt competition was axed way back then. So here we are. Summernats 31, the first to be held under the new policy, kicks off on 4 January. And I think we all need to throw our support behind it. If you’ve attended Summernats previously, but stopped going because you didn’t feel comfortable there – now is the time to give it another chance. If you haven’t been to Summernats before, this would be a great year to go along for the first time. If you’ve ever complained about the uncontrolled behaviour of Summernats patrons, now might be the time to put your money where your mouth is. The Summernats team has tried to do a really good thing here, by listening and responding to the concerns of the community. What we need to do is support these moves by voting with our feet. Give it a shot. Buy a ticket, go along. If you see problems, report them, and see what action is taken. 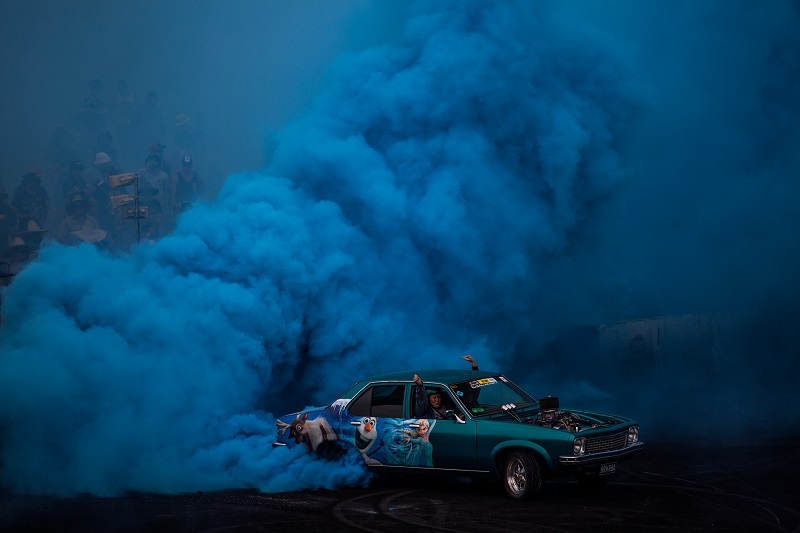 What we don’t want to see is a big drop-off in attendance at Summernats this year, that could be linked to these new policies. 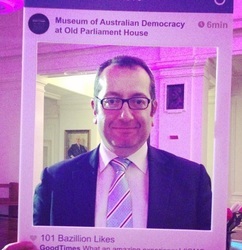 To be blunt, we can’t let the bogans win! I’m encouraging all Canberrans to go and check out Summernats this year. Bogans will be bogans. I definitely think Summernats should continue and the over generalisation by super feminazi Clementine Ford should be widely ignored, however there needs to be more for these car enthusiasts to do outside the event hours. Obviously Summernats can’t control what happens outside their venue, but it’s troubling that ABC News reported that female McDonalds staff are being harassed by Summernats visitors, both at work and after their shifts finish. Troubling that McDonalds don’t seem to be providing these employees with a safe workplace. Please clean it up. It's the only car show I don't go to. Not for me. I can’t think of a single value that Summernuts promotes that I agree with. Fortunately I now have double-glazing so the burnouts around Civic don’t cause as much grief as in the past. I've been going for 13 years, all four days Thurs-Sun. All credit to the new owners. The event is very different now. Haven't seen a single sign or heard a single chant directed at women so far this year. How many chances does Summernats need? It seems that every time we give them another chance and they assure us that they’ve changed and cleaned up their act some new outrage happens. Sexual harassment, hooning, violence, and last year’s piece de resistance – the death of one of the participants. 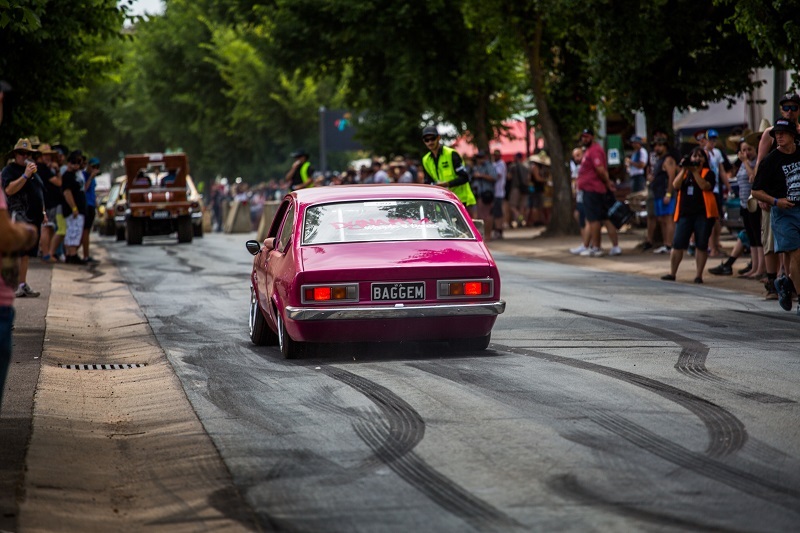 I’ve heard all the arguments in favour of it – tourism, boosting the economy etc – but it seems to me that the Summernats in general belongs to another era in Canberra history. It is out of place in this more enlightened day and age, and we should look at bringing in another type of event during the summer silly season in future. What would you like then, extreme basket-weaving? Time to ban that hoon show! Why would I pay money to be harassed by Neanderthals? Gave Summernats too many chances over the years - if and when they demonstrate that they are family friendly, I might consider it. Until then, there are plenty of civilised car shows around. Was an entrant for 21 years and worked there for i think the first 12 of them. I have ni interest in going anymore personally but i dont want to see it leave Canberra...the light rail will sure make it harder for them though this year. 😂😂😂 perfect for a shire girl! I’m definitely going again. Mainly to check out the food, as I was highly impressed by all the offerings last year. I also need to see if I can find and try Regulators BBQ – does anyone know if they are there again this year? Yes they are there. Very much enjoyed my lunch today and they were very accommodating chatting to me about ingredients/food intolerances too. Not for me, but I’m not against it. People who don’t like it can steer clear of it, (it only comes around once a year), and those who enjoy it should be free to do so. Although, I would like to see less anti-social behaviour as has been the case in the past. Dude it’s so beige these days, barely anything happens there. ACT GOVT. WILL DO WELL OUT OF IT. COPS EVERY WHERE LOADED WITH DEFECT STICKERS.